How do business property owners in Osborne Park protect their assets, patrons and personnel? They hire professional fencing contractors. 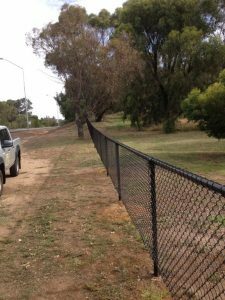 We have been a reliable partner for various property owners in Osborne Park and if you are looking to get your fences done, you may want to consider Team Work Fencing Contractors for your next fencing project. Providing custom fencing services for over a decade, our company specialises in the installation, repairs and maintenance of Garrison steel fencing, palisade security fencing and chain wire fencing on commercial properties in the City of Stirling. Team Work Fencing also does decorative fencing and farm fencing, with a focus on delivering high-quality workmanship affordably with speed and professionalism. In addition to performing commercial fencing services, we cater to the needs of residential property owners in Perth. Our fence builders Osborne Park are experts at installing and repairing COLORBOND® fences, pool fences, HardieFence™, brush fencing, timber fencing, PVC fencing, aluminum EZI slat fences, gates and retaining walls. Moreover, we can accommodate you with a variety of fence enhancements, including razor wire and other toppings. Whether you need to strengthen security for the protection of valuable business assets or you’re looking to install an attractive home fence that divides property lines and keeps out intruders, Team Work Fencing Contractors Osborne Park can design a custom fencing solution suited to your requirements. What’s more, all installations and repairs are done using recyclable materials, employing eco-friendly practices. To learn more about our company and fencing services, feel free to browse our website or request a free quote. If you have questions and would like to discuss your fencing project with an expert, call 08 9795 3447 or contact us here.